Haste: Guest host Rob Schwalb talks Shadow of the Demon Lord, and more! 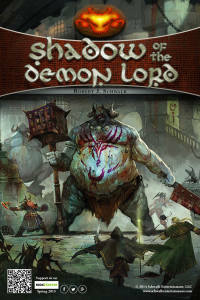 Tonight we’re joined by famous game designer Rob Schwalb to talk to him about his new game Shadow of the Demon Lord. You can get all of the latest information and more on SotDL on Rob’s website, and on Schwalb Entertainment’s blog. Also, be sure to check out the Cthulhu: Strange Aeons Kickstarter, which Rob is also a part of. We sit down and talk with Rob about what to expect from Shadow of the Demon Lord. I grill him about story, combat, mechanics, Kickstarter plans and more. Be sure to keep tuned to all things SotDL by following their various channels such as Facebook, Google +, Instagram, Pinterest, Tumblr, Twitter, and of course the official blog. In a sudden, and unexpected turn of events Trapdoor Technologies has announced that they will no longer be working on Dungeonscape alongside WotC. Dungeonscape was the to-be premiere set of digital tools for 5e D&D. This leaves a lot of questions, to which we have no answers but must speculate upon! Rob and I discuss the awesomeness that is running horror in your games, he gives some tips and pointers and we also discuss the latest Pathfinder Occult Playtest that sync’d right up with Halloween. 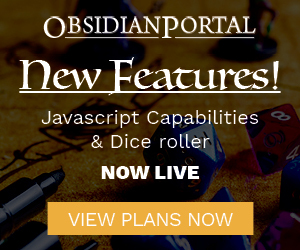 If you’re a Pathfinder player you should definitely be checking these out! Keep your eyes glued on Shadow of the Demon Lord! @CyberSonzai asks: Most entertaining in-character excuse you’ve made up for a player that can’t make it that week?